In my last post I talked about interviewing loved ones to preserve family history. Previously I had discussed scanning old photographs. Here's a third element that can make your biographical (memorial) video more interesting: Clips from old home movies. You probably have lots of footage from family occasions ... parties, holidays, vacations, etc. Can you find them? (Oops, that's a topic for another blog post!) Gather all of the clips you can find that include the person being honored, and place them into categories. For the purposes of my mother's biography, I discovered archived video clips that fit into three categories: parties, trips, and home life. Select the best moments and sounds from each category and you'll have the ingredients for entertaining video montages. In the example above I show sixty seconds of a montage that was introduced with narration: "Mom was a well-informed travel companion!" It's paced with some light-hearted music, and you quickly see four little clips that reflect her personality. A montage of video clips is a great addition to the celebration's slideshow of still photos. And it's a great way to practice your video editing skills! Labels: Prepare now for the memorial or biographical video you need to make tomorrow! www.henbc.com has editing tips to help amateurs create better videos. You and I are the family historians! We're the ones who often witness birthday parties, picnics, and vacations through a camera's viewfinder. Our archives consist of priceless memories, and as a result we may be called upon at the last minute to "bring something" to a memorial service, bachelor party, or birthday celebration. When it happens, the best I can usually do is make a quick slideshow with music and maybe titles. "If only I had more time, I could have done something nicer!" What if you had time to plan ahead. Imagine this: "Aunt Mary's 80th birthday is coming up next September, do you think you could put together a slideshow or something?" My mother was seventy-four when I decided to create her video biography. I had lots of time to gather old footage, scan photos, and most-importantly conduct interviews! We joked and chatted a bit, then I started the camcorder. I knew enough to ask her leading questions about her life. For example: "What's your earliest memory? "; "Tell me about your father. "; "What do you remember about World War II?" Slowly we stepped through the major events in her life. Next days we visited newspaper archives at the public library, and interviewed some of her life-long friends. (Those interviews are precious memories for the friends' families too!). 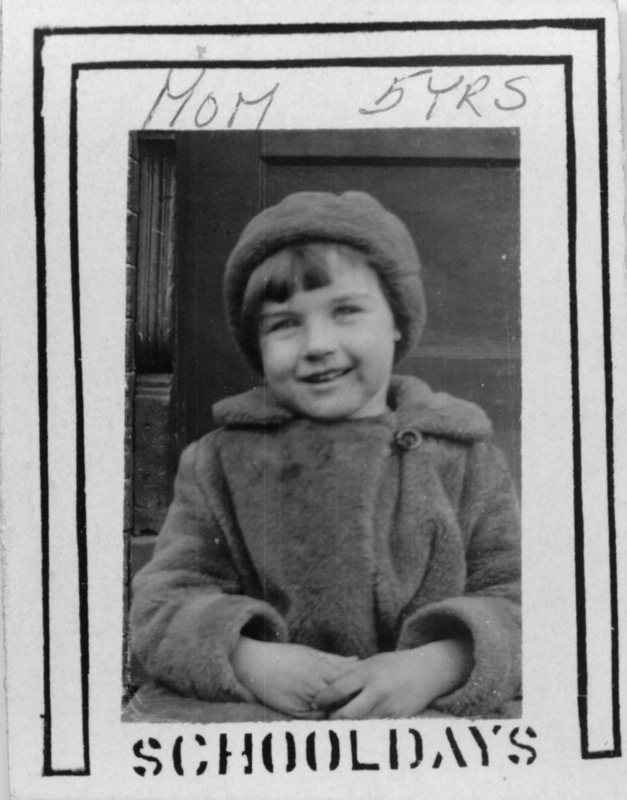 I had hoped to present Mom's biography at a birthday party, but she never got to see its final edit. Thankfully I was well prepared for the big party we held to celebrate her life. And everyone took a bit of her home, not just in their hearts but also on a DVD. MEMORIAL VIDEOS: Take the time today to interview your loved ones! On an overcast morning we turned her favorite easy chair at an angle to the picture window and began talking. Equipment was minimal and non-threatening, just a MiniDV camcorder, tripod, and lavalier microphone. I sat next to the camera and asked a lot of leading questions; we were both exhausted after an hour. During the next two days we took the show on the road. Mom arranged for us to visit her best old friends. That was a lot of fun, and I was able to capture recollections of how they met and all the good times they had together. Later that year, my mother started to lose her ability to remember simple things. Though she kept her personality and sense of humor, a long, slow, heart-wrenching process had begun. I began to create her movie many times, but the video always presented me with too much reality, too many emotional memories. When Mom was admitted to Hospice care in 2010 there was no choice, I began to assemble the edit in Final Cut Pro X. The movie is possibly the most meaningful work I've ever done. It was projected onto a screen at her memorial celebration; relatives said "It's as if she was in the room with us!" The forty-minute video held everyone speechless and spellbound, laughing and crying at the same time. Mom's memorial video is intensely personal. I've selected two short clips to show publicly; they will be the subject of my next two blog posts. Deep Thoughts About Vacation Video: Photos need people in them! 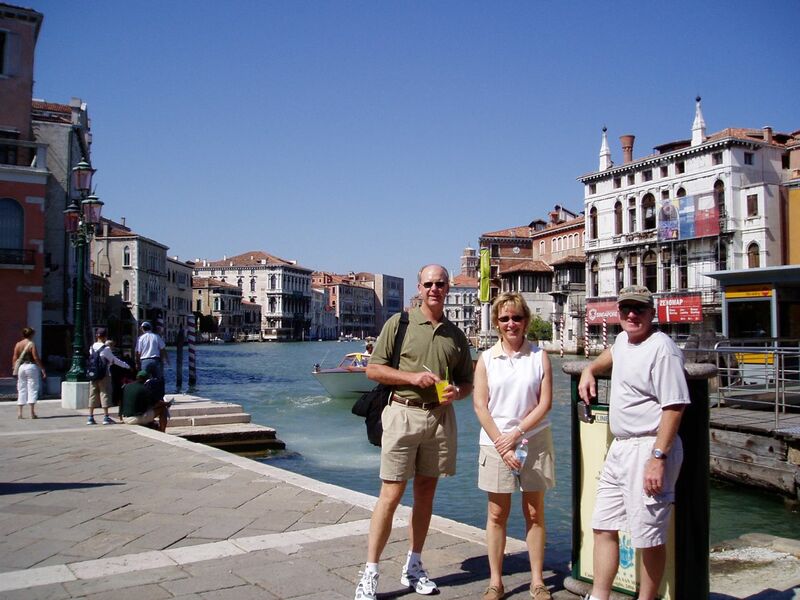 Add Interest to Your Vacation Snapshots -- Include People! I lack the equipment to scan negatives, so I began searching for an on-line deal. (Scanning services usually charge about a dollar for two or three scans. These two thousand photos could cost well over $500 to scan!) Meanwhile I also began sorting the negatives, culling the uninteresting shots. My old Minolta SRT-201 was a great tool before it was stolen. It was also my first serious camera, when I looked through the viewfinder I felt like an artist. But guess what ... I am not Ansel Adams! Those rolls of film contained hundreds and hundreds of horribly boring landscapes from vacations -- reminding me of the hundreds of hours of boring vacation videotapes that sit on my shelf! Ultimately I've thrown away about two-thirds of the negatives. The ones I kept were pictures of family members, and a small number of vacation photos. The snapshots I truly value are the ones with friends and family in them! Treasured memories revolve around people, not the tourist landmarks. 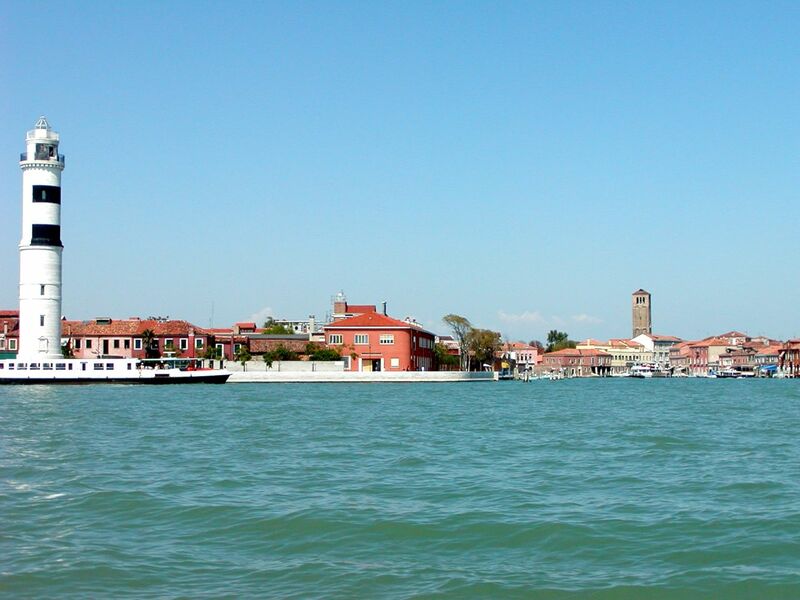 Compare this photo from Venice to the one below. images of friends make this snapshot a "keeper"! At the end of June, ScanCafe had a 1/3-off discount deal. I sent 600 negatives to them, which will be scanned for a total price of about 27 cents per image (includes shipping and tax). They estimate that the proof scans will be ready at the end of August; They'll send the final images via DVD in September. This seems to be an excellent price; I'll let you know about quality! Labels: A vacation snapshot works best when you include friends and family. www.henbc.com has tips to add excitement to boring vacation video.